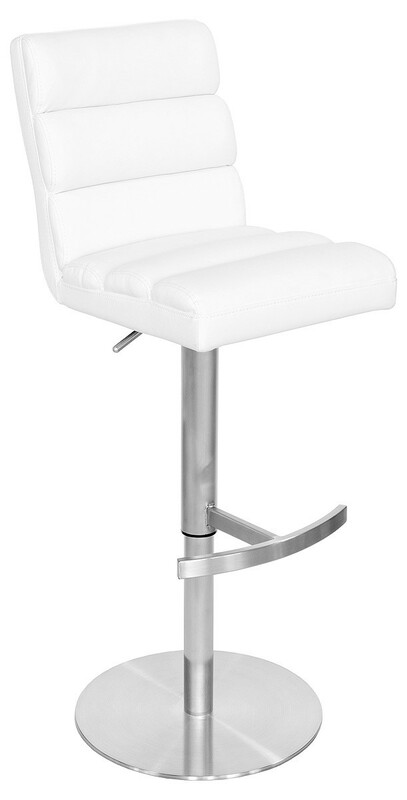 The Bianca Padded Seat Bar Stool is a height adjustable, swivel bar stool with a foot rest.. it has a polished chrome-effect stainless steel base for incredible strength, plus sumptuous cushioning to the seat and back support. and is made from luxury faux leather. Dimensions: H 88cm - 112cm W 38cm D 48cm. 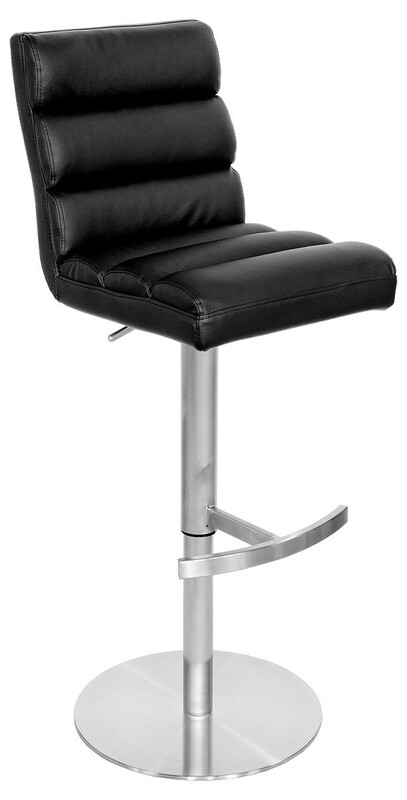 All of our furniture fully complies with British standards for quality and safety. All of our materials are tested to be compliant with fire and safety regulations.